Find Midtown Homes for Sale in Bend, OR below! The area east of 3rd st and around Pilot Butte in Bend is considered Midtown. The midtown area is older with mature vegetation, old growth ponderosa pines, and decent size lots. Many of the lots in the area are right around .2 acres in size. The location is great, as this area is close to dining, shopping, and not far from downtown Bend. Homes range in style and size, but generally homes are older, mid-century homes with newer homes sprinkled throughout the area. The biggest draw to midtown for most buyers is the "westside feel", without the westside prices. If you're looking for an older feel to an area, and still want to be near downtown, this may be the area for you. The midtown area is a popular location for those who love the westside, but can't afford it. Homes in this area are generally cheaper than the westside of Bend. There are several parks in the area, as well as Pilot Butte (a great hike up the butte offers amazing city and cascade mountain views). 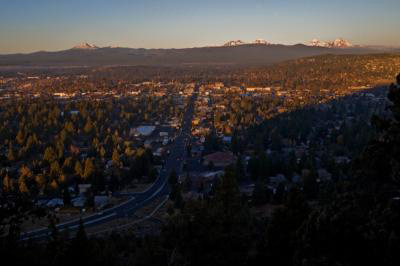 Downtown is a short distance away, and the area offers easy access to all parts of Bend. Explore the incredible available Midtown real estate listings found below! Also, feel free to contact Sedonia Darling online or call (541) 749-0509 to connect with a local and qualified Bend real estate agent.